When clearing out some of my old programming books the other day I realised how far I’d come with programming over the years, and the number of different technologies that I have used over time. I thought I’d do a little summary post going from first programming experience to now – and it’s amazing what’s changed. 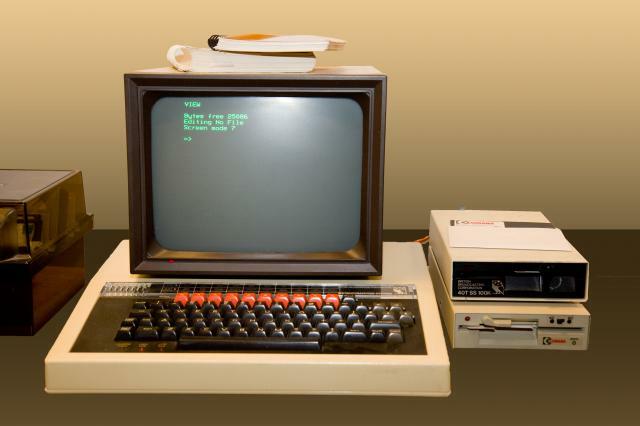 My first proper programming experience was with a BBC Micro computer. You can tell how old I am (fairly young I know, but relatively old in computing terms) that when I was at primary school we had four computers – three BBC Micros and one Acorn machine. The machine I was using had a 5 1/4″ floppy drive (as pictured above), but the book that I used to teach me how to program assumed that I’d be using an audio cassette recorder to store my programs on – how awesome is that? Old-school yes, but practical, after all, most people had a tape recorder available (in those days at least). Anyway I managed to find a book called BBC Basic for Beginners which taught me how to write simple programs – think guessing games, simple asking questions programs (“What is your name?”, “Hello &lt;NAME&gt;”). I distinctly remember trying to persuade a friend to stay in during break time and write a program with me. He wasn’t interested – but oh well. In my final year of primary school, when I was aged 10, we got our first computer at home. It ran Windows 98 (fairly new at that time) and I think it had an amazing 450Mhz processor! We also had access to the internet via dial-up, where it only took 20 minutes to download a 1Mb file – at the time that seemed amazing! Anyway, on this computer I discovered that there was a similar programming language to BBC Basic called QBasic. This had many of the same ways of writing things as BBC Basic, but was far more powerful. I had great fun writing a number of programs using QBasic – I distinctly remember writing a number of maths programs (printing multiplication tables, calculating prime numbers etc) and a few menu-based programs. I managed to find The QBasic Bible in the library one day, and couldn’t stop reading it for about three days. I remember running up to my Dad and telling him, very excitedly, about this new SELECT CASE statement that I’d come across that would remove the need for nested if statements. 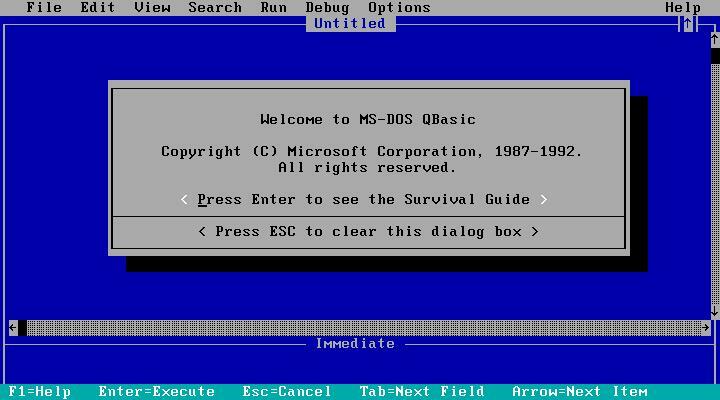 The natural progression from QBasic was to Visual Basic, and it so happened that a friend of my Grandparents gave me a copy of Visual Basic 6 Learning Edition. He’d been using it for a while but had upgraded to the Professional Edition as some features he needed were only available there. With this I discovered the joy (at least I thought it was joy then!) of GUI programming. I started off without any textbooks (our library hadn’t got that up-to-date then…) and followed a lot of tutorials. It was then that I realised that following a tutorial and just typing in the code didn’t really teach me anything – I needed to try and play around with the code, change it and see what happened, and truly try and understand it. I remember writing a painting program (without really understanding it – but being amazed at the OnPaint method and how that worked) and GUI versions of my maths programs. My father is an IT (sorry, ICT) teacher, and I often managed to borrow some of his textbooks/workbooks and learnt a number of useful skills: programming in Visual Basic for Applications in Excel and Access and writing HTML. I wrote HTML pages with no server to host them on – just running them locally on my computer – and produced a project for school entirely in HTML – which amazed the teachers! Finally – a useful use? It seems hard to believe, but this must have taken me to the end of secondary school. I think I must have had a break from programming while doing my GCSEs, as I can’t really remember writing anything then. I think I probably dabbled in PHP a bit (a sin we’re all guilty of, I’m sure) and I remember playing with Pascal for a few days, but nothing else really. This changed when I got to Sixth Form College, and took A-Level Computing. For my A2 coursework I had to produce a piece of software for a real end-user – and I chose the person who managed the internal bookshop at my father’s school. I assessed requirements, implemented and tested code and wrote user guides. I remember feeling very impressed with myself when I worked out how to interface with the Amazon website so that I could look up book details from their ISBN numbers. (Yes I know the screenshot above is terrible – it’s the only one I could find, and is one sent by the user to show a bug – that is, that I allowed the application to be maximised and didn’t resize the controls on the screen once the user had done it). I think it must have been as part of the pseudo-assembly language that we learnt that I got interested in C and started playing around a bit. This, of course, led to a bit of C++ and a little bit more of an understanding of object-oriented programming. It was around this time that I started getting very interested in reading about programming – both online and in paper format. I was a huge (understatement) fan of Joel on Software and Coding Horror and started to touch on a few of Paul Graham‘s posts too. I bought a number of programming books, ranging from the specific (ActiveX Data Objects in Visual Basic 6) to the general (Algorithms and Data Structures). After Sixth Form college I took a gap year through the wonderful Year in Industry organisation, who placed me with British Energy – a company who run nuclear power stations. I spent my year writing two pieces of software to run at Sizewell B Nuclear Power Station as part of the control and safety systems. Obviously I can’t say a huge amount about what I did – but the screenshot above is allowed to be shown in public, and shows one of the sections of the software that I was most proud of. It is a live status screen showing the position and movement of a number of moveable detectors inside the reactor, and took a long time to program correctly. 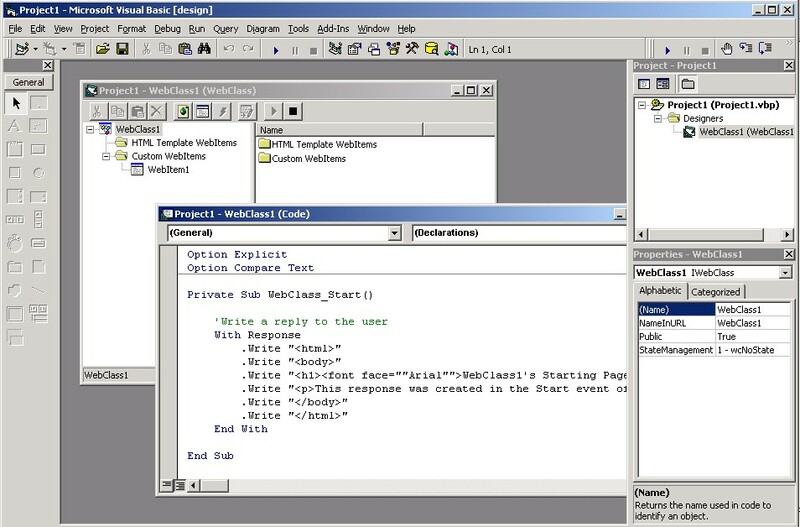 It was during my Year in Industry that I learnt to program in the .NET framework – we were (for our sins) using Visual C++ .NET, which combined (again, for my sins – whatever hellish crimes they were) managed .NET C++ code with unmanaged standard C/C++ code. I got into electronics and drivers (for dealing with serial communications), writing my own graphical controls (particularly for the live status screen) and proper object-oriented design. I read Knuth (parts of) and the Gang of Four book (all of), and learnt a huge amount. University – a scientific focus? Everyone at British Energy assumed I’d go off to university to study Computer Science, but I shocked them by studying Geography at the University of Southampton. I left my professional programming behind to focus on rivers, glaciers, cities and poverty – but I found a way to get programming back in. 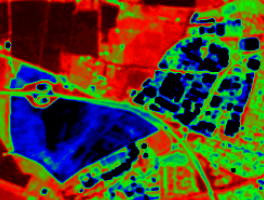 During my second year I took a course in Remote Sensing – basically satellite imaging – and was amazed by what was possible. 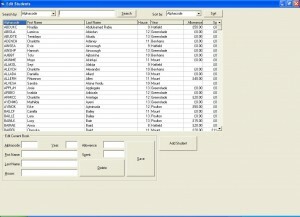 I found the software easy to use, and found that I could start extending it with my programming experience. In fact, I took my programming scientific in many ways – learning a number of new languages so that I could use various scientific tools. These included R (for statistics), Python (for use with NumPy) and IDL – a language that no-one seems to have heard of, but which is a very useful array-based scientific language, which is well integrated with a popular satellite imaging tool. I spent the summers of my undergraduate degree doing research bursary placements (including, of course, some programming), and then used significant amounts of programming in my undergraduate dissertation. I then decided – on Christmas Eve of all days – to release a number of the pieces of code that I wrote to help me do the data processing for my dissertation as an open-source extension for a piece of satellite imaging software. I was incredibly excited to release my first bit of proper software ‘into the wild’ – and was amazed when I got to 10 downloads! The last few versions combined have had over 150 downloads now – and it is used in universities in continental Europe, environmental consultancies in Australia and by police forces in the US. During my time at university I’ve also got more into a number of web languages and frameworks. I’ve (just about) learnt CSS, so I can produce a vaguely serviceable website, and I got very into Ruby – both as a general scripting language and as a web framework (with and without Ruby on Rails). I’m now doing a PhD, and have returned to lower-level programming as part of my training during my first year. I took a course in parallel programming (very interesting; very difficult – think pointers but ten times harder), machine learning (it’s amazing what you can get computers to do with a bit of maths) and more (yes more) remote sensing. And, I’m really enjoying myself. My code is working (most of the time) and being used by other people, and it’s helping me write papers that – hopefully – will get published soon. I have a website, and a blog (which you’re reading). So – how to summarise? So, programming has done me well – and I look forward to updating this list in another 15 years time! Great post! There’s nothing like a trip down memory lane, especially for those of us who had the fun of BBC Micros at school all those centuries ago. What a journey! Excellent post-it was really nice to read it. All the best with your Phd . Ps- while you are at it- could you help save the planet from climate change. Great post. You brought back many (haunting) memories. Great Post. I am MS Computer Science and currently want to also get into remote sensing, using digital aerial images. I could use some advice. I believe by now you have completed your PhD. Congratulations. Working under your feet work be interesting.